Eric Knight is a teacher at Our Lady of Victory School, which excels at helping low-income students succeed. In Eric Knight’s Grade 6 math class at Our Lady of Victory School, the mysteries of the quadrilateral are under investigation. Knight has asked his students to draw a four-sided shape with two conditions: one side must be five centimetres long and one interior angle must measure 60 degrees. Some students opt to draw a parallelogram, others a rhombus or an ordinary trapezoid. The three students who present their answers on a whiteboard draw different shapes but all three share internal angles of 60 degrees and 120 degrees. The class hums with math chatter until Knight calls for theories. Hands strain for air, and a boy in the second row, Brooklyn, is recognized. “It’s because all quadrilaterals add up to 360 degrees,” he says. “Right!” enthuses Knight, who jumps into a lesson about how to apply that fact to make deductions about other quadrilaterals, such as right-angle trapezoids. Knight, 36, possesses the kind of infectious enthusiasm common to all great teachers. He clearly loves math and its chamber of secrets — and wants his students to share the adventure of exploring this vast, ordered world. In his classroom, every question is a smart one and every answer valued. “Oh, you participated, excellent, good job,” Knight will say to a student whose answer misses the mark. His relentlessly upbeat approach is all part of Knight’s attempt to make math an enjoyable subject on par with art and phys-ed. He wants students to feed off his energy, to have fun, to be comfortable taking mathematical leaps of faith. What’s more, mistakes are useful, he says. Knight analyses them to identify common problems and target interventions: guided group learning, full-class reviews, or a return to the fundamentals. His approach deserves scrutiny because Knight’s students consistently excel on the province’s standardized tests. During the past five years, an average of 85.4 per cent of Our Lady of Victory’s math students have met or exceeded the provincial standard. Across the province, an average of 59.4 per cent of students met the standard during the same period. Yet Our Lady of Victory has blown past the provincial pass rate in math by an average 26 percentage points since 2008-09. And it’s not just math. The school’s five-year average pass rates for reading (75.8 per cent) and writing (81.2 per cent) in Grade 6 also exceed provincial averages. Those kind of marks make Our Lady of Victory a critically important exception — a school that defies the well-established connection between money and marks. It means that in Knight’s math class, there may be another secret still to be discovered: a formula that will help students living in poverty overcome the odds stacked against their academic success. Why have independent research groups concluded that Our Lady of Victory is one of the best schools in Ottawa? There is no easy way to assess the relative merits of a school. Test scores alone offer a limited measure since it’s much easier to produce good results when the majority of a school’s student population comes from wealthy, stable families where parents are highly educated and have the luxury of spending both time and money on the social, physical and intellectual development of their children. Since Ottawa’s neighbourhoods are stratified by income and class, so too are the schools they serve. It means some schools, such as First Avenue, Manotick and Kars on The Rideau public schools enjoy the benefits that flow from favourable socio-economics: children who come to kindergarten ready to tackle the social demands of a classroom alongside reading, writing and mathematics. It’s much more complicated teaching at schools such as Charles H. Hulse, Bayshore and Pinecrest, where many students enter kindergarten unfamiliar with books, basic numeracy or the give-and-take of communication. Some speak English as a second-language; some come to school hungry; some suffer high levels of stress. In light of that complexity, school boards resist attempts to rank schools by performance. But that has not stopped independent research groups from trying to identify top performing schools by comparing test scores after controlling for socio-economic factors. David Johnson, an economics professor at Wilfrid Laurier University and a scholar at the C.D. Howe Institute, says the approach offers an “apples-to-apples” comparison that gives parents and educators insight into which schools are exceeding expectations. The C.D. Howe Institute and another think tank, the Fraser Institute, assess schools based on formulas that consider both test scores and socio-economics. They use different formulas, and, as a result, there are substantial differences in their results. A handful of schools fared well in both studies, among them York Street, St. Augustine, St. George and Woodroffe. But one school finished near the very top of both assessments: Our Lady of Victory. Analysis of standardized test scores in Grade 6 mathematics by the province’s Education Quality and Accountability Office (EQAO) also confirms that Our Lady of Victory has produced outstanding results when compared to schools drawing students from similar neighbourhoods. That there’s an achievement gap between rich and poor is a well-established fact. Almost half a century ago, a team of American scholars commissioned by the U.S. Department of Education first highlighted the strong relationship between socio-economic status and student achievement. The 1966 Coleman Report concluded that family backgrounds had a much stronger bearing on student outcomes than school funding. The achievement gap has far-reaching consequences. There’s evidence that children from low socio-economic backgrounds are more likely to leave school early. They are also less likely to pursue post-secondary education or find a job. In Ottawa, the achievement gap is difficult to characterize with precision. But it is possible to calculate the Grade 3 EQAO pass rate for public schools at either end of the socio-economic spectrum. That calculation shows that the 10 public schools considered to be the city’s neediest had an average Grade 3 EQAO pass rate of 49.2 per cent between 2009-2011. The 10 public schools with the highest socio-economic index rating enjoyed a pass rate of 77.4 per cent. Why does socio-economic status exert such a powerful influence? An increasing body of evidence suggests that students from wealthy families enter kindergarten better prepared to learn and succeed — and that the advantage they enjoy on the first day of school persists throughout their academic careers. There are, of course, many remarkable exceptions that deserve to be celebrated. What’s more, there’s evidence that immigrant students — particularly those from Korea and China — succeed even though their newly arrived families may be struggling to make ends meet. In general, though, there’s no escaping the link between money and marks since money allows parents to offer more stimulating experiences to their children in the form of books, travel, quality day care and organized sports. They tend to have more time to read to their children — and to better understand the role that this so-called “Goodnight Moon time” plays in their child’s development. Importantly, wealthier parents also tend to be better educated themselves. Meanwhile, the effects of poverty can be pernicious. Children who live in poverty tend to grow up in more crowded, noisy, stressful environments with more television and fewer routines. Their lives often suffer from the kind of instability that can shape brain development. Neuroscientists have shown that children living in poverty tend to pay as much attention to irrelevant information as to the important stuff. Children from wealthier backgrounds are better able to filter out that noise. All of it combines to set back emotional and social development along with communication and learning skills. “The theory is that from language development, the reading, writing and math will come,” says Elaine Phinney, principal at Our Lady of Victory School. 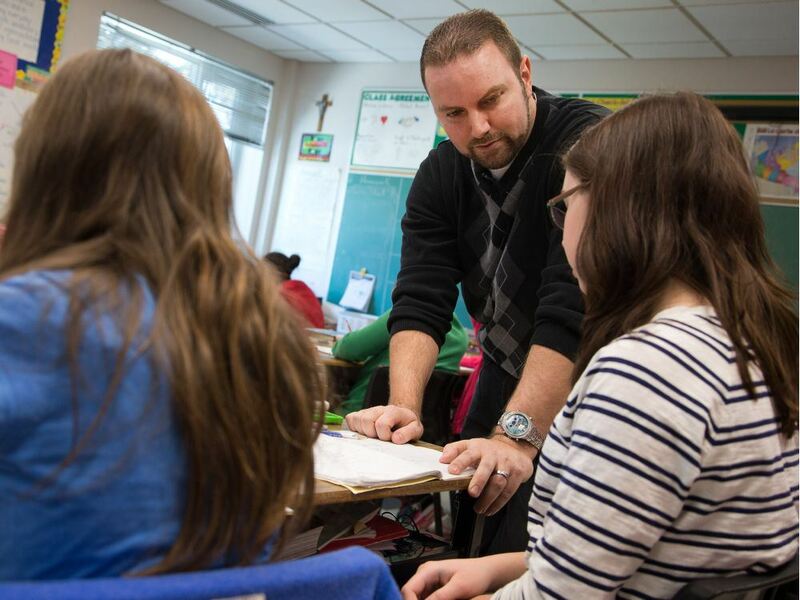 How has Our Lady of Victory succeeded at closing the achievement gap? Our Lady of Victory — it’s around the corner from IKEA — draws students from a middle-class neighbourhood that includes three public housing communities. About 12 per cent of the student population speaks English as second language. The school seeks to intervene in the lives of its neediest students even before they walk into a classroom. Parents with children about to enter kindergarten are invited to a school meeting in May to learn how best to prepare young students. The importance of reading is stressed and books are distributed. In kindergarten, the focus on language development is unyielding. “The theory is that from language development, the reading, writing and math will come,” says Phinney. Kindergarten students having trouble with grammar, pronunciation, verb tenses, vocabulary or the social norms of conversation are identified and directed to First Words, a speech and language program offered by the Pinecrest-Queensway Community Health Centre (it’s one of six Ottawa sites for the free, bilingual program). Student tracking continues through the early grades. Every student’s reading progress is charted using a 30-point scale known as PM Benchmarks that offers teachers a precise understanding of a student’s progress on the march towards reading fluency. Students who fall behind on the journey are given extra attention through an intensive “reading recovery” program delivered in small groups. The teaching staff meets regularly to discuss students who are struggling and what can be done to help them. In Eric Knight’s Grade 6 math class, nothing is left to chance. The first two weeks of the school year are always devoted to the fundamentals: addition, subtraction, multiplication and division. Students who have not mastered the basics are encouraged to hone their skills on math websites such as Mangahigh.com and Prodigygame.com. The Gatineau-born Knight pursued a teaching degree after studying kinesiology at the University of Western Ontario, where he also studied math. 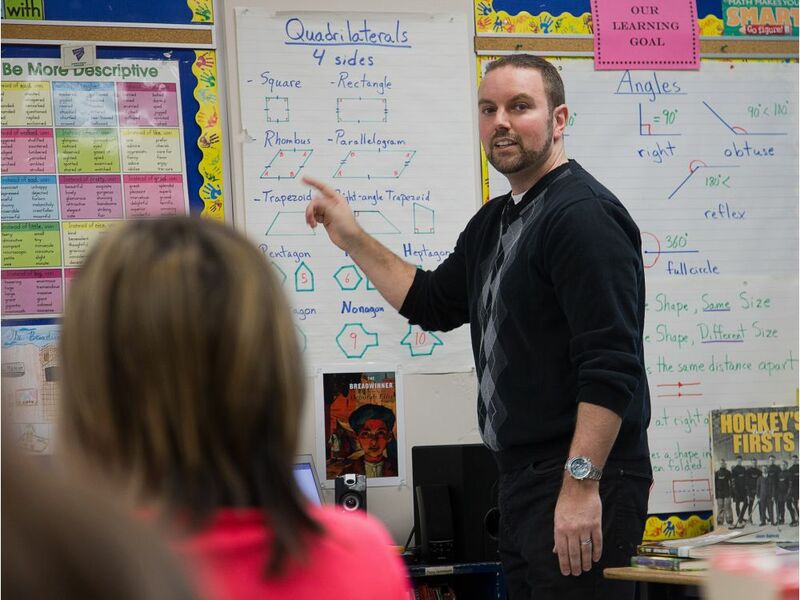 He has taught Grade 6 math at Our Lady of Victory for 10 years and that experience informs his deliberate approach to the province’s EQAO tests. 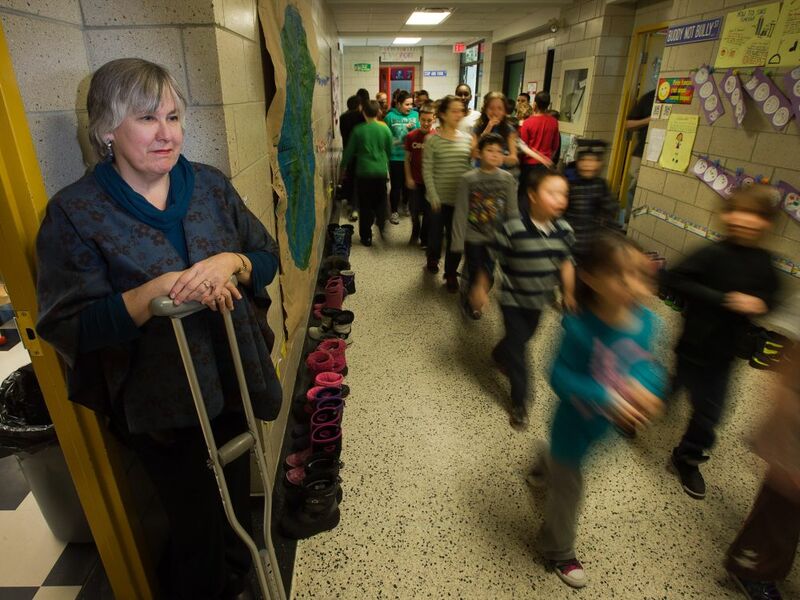 What are Ottawa school boards doing to close the achievement gap? What about the province? In Ottawa, the Catholic school board offers its 15 neediest schools, including Our Lady of Victory, some extra funding. The public school board also offers its 25 neediest schools more staff and money in an effort to close the achievement gap. Every public school in Ottawa-Carleton is assessed by the board and given a socio-economic “score.” The score is based on factors such as poverty, linguistic diversity and the school readiness of kindergarten-aged students. The so-called RAISE index is updated every five years based on data drawn from Statistics Canada and the board’s student information system. The 25 elementary and secondary schools with the highest scores will receive an extra $10,000 in their 2013-14 school budgets. They’ll also be given special consideration when the board assigns vice-principals, social workers and English-as-a-second language (ESL) teachers. Other measures are also being contemplated. In a recent report presented to school board trustees, board officials said staff will examine the feasibility of limiting the size of kindergarten classes in the city’s neediest schools for the 2014-15 school year. The province wants school boards to restrict the size of kindergarten classes to an average of 26 students. The province has invested heavily in levelling the academic playing field. The centrepiece of its strategy is the $1.5 billion full-day kindergarten program, which is expected to be in place at all publicly-funded schools by September. Among other things, the programs offer professional development for teachers and principals, and the resources to build an after-school tutoring program. The Catholic School System of Ottawa is contaminated by those who support the Gender Superiority Program of "The Ottawa Gestapo" aka the Children's Aid Society of Ottawa. Claudette Knuckle-Dougan, a pathological lying Child Protection Worker for the "Ottawa Gestapo". $266,000 for each child that they abduct and keep in care. If the CAS can actually turn an abduction into a Crown Wardship its worth around One Million dollars in terms of funding.